This presentation aims to provide an overview of methods currently used for interpretation of germline variants in TP53 and other hereditary cancer genes, providing comparison between ACMG codes and information types used in quantitative classification models. It will also provide specific examples of how data can be mined to determine the applicability and weight of evidence codes for specific genes. Amanda Spurdle is an NHMRC Senior Research Fellow at the QIMR Berghofer Medical Research Institute, and head of the Molecular Cancer Epidemiology Laboratory. She began working in the field of molecular epidemiology of cancer at QIMR (now QIMR Berghofer MRI) in 2007, and her research encompasses studies of breast, endometrial, colorectal, prostate and ovarian cancer. A major research effort is development and application of methods to determine the clinical importance of variants in high-risk cancer susceptibility genes, including the mismatch repair genes, BRCA1/2, and TP53. She co-founded and now leads the ENIGMA international consortium to explore a variety of research approaches to tackle the issue of variant classification in breast/ovarian cancer susceptibility genes commonly included on testing panels, with clinically-directed research involving including use of bioinformatics, segregation, tumour pathology, functional and splicing data to aid variant classification. She leads the ClinGen-approved expert panel for BRCA1/2 variant classification, and is an active member of several other ClinGen expert panels set up for curation of variants in hereditary cancer genes. 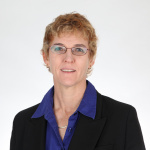 She is active in both the Australian and Qld Genomics Health Alliances, with her research focus primarily around promoting sharing of information to facilitate and harmonise clinical classification of variants. She has been integral to the development of the BRCA Exchange web portal instigated as a pilot project of the Global Alliance for Genomics and Health. 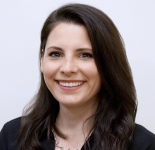 Sarah Campian joined Ambry Genetics in 2018 as the Oncology Genetic Specialist for the Great Lakes territory. She previously worked as a clinical genetic counselor at the Grosfeld Cancer Genetics Center at Beaumont Health. Her research interests include Lynch syndrome and identification of gene mutation carriers in minority populations. Sarah received her Bachelors of Science degree in Biology from Saginaw Valley State University. She earned her Masters of Science degree in Genetic Counseling from Wayne State University and is certified by the American Board of Genetic Counseling.